I like to title blog posts as if they will be a part of a series. As far as monthly book reviews goes, this may be the only one. But that doesn’t really matter. Most of you know that I had the opportunity to do an amazing internship this past summer at Antioch Church in my amazing hometown of Bend, Oregon. That internship was the dream and creation of Antioch’s pastor, Ken Wytsma. Ken is awesome, and he is releasing a book next week. And here I am, telling you that you should definitely buy it and read it. And buy it for all your friends. And probably just take a stack and carry them around and give them to strangers. It is called The Grand Paradox: The Messiness of Life, the Mystery of God and the Necessity of Faith. Need I say more? The book, like Ken, is honest, real and altogether brilliant. The Christian faith requires a lot of just that – faith. There are many things both in Scripture and in life that might seem like contradictions. There are things we have to wrestle with and question and work through. This is not bad. God welcomes our doubts, comforts us in our questions, and walks with us while we work through whatever we may be struggling with. This book speaks to the all too common struggles we face as Christians – rethinking prayer, battling hopelessness, and navigating the challenges of life that Christ not only allows but calls us into. Combined with some great facts about my hometown, this book is what you need right now. 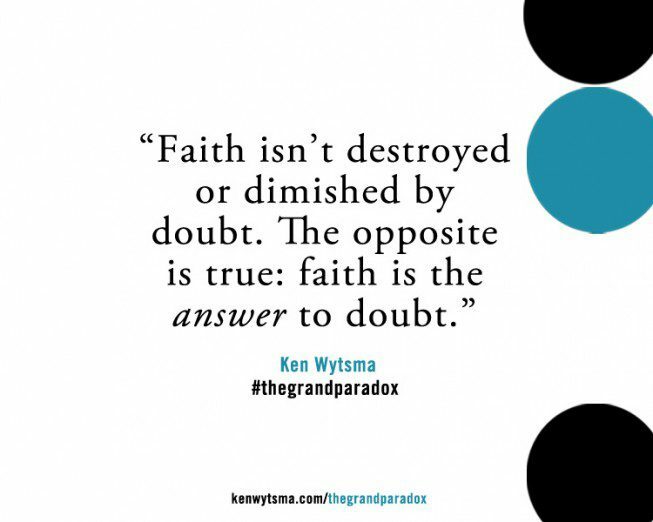 So visit the website: http://kenwytsma.com/thegrandparadox/ and buy it for yourself and a friend. Send it to someone who might be scrambling trying to get out of the pit. Buy it for the friend who has more doubt than belief. For the family member to whom faith just doesn’t really make sense right now. Reading is good for the soul, and this book should be top of your list. Happy Friday, friends.